$350 per night for Two Night stay for up to Four Guests in a Three Bedroom Beachfront Villa with a complimentary bottle of local Margaret River Wine. or $300 per night for Three Night stay for up to Four Guests in a Three Bedroom Beachfront Villa with a complimentary bottle of local Margaret River Wine. As the name suggests, Yallingup Beach Resort is a mere 44 steps to the white sands of Yallingup Beach. A home away from home combining modern style, panoramic ocean frontage and stunning views. Enjoy a break by the ocean in beach accommodation done right and explore all the Margaret River Region has to offer. Wake up to the sounds of waves crashing and take a walk on pristine Yallingup Beach. Watch or join the surfing locals at this world premier surfing beach. A safe lagoon for swimming and great fishing is right on your doorstep. Venture out to visit one of the many local galleries or sample fine food and wine at one of the nearby wineries. Explore the town of Dunsborough – only a 5 minute drive away with vibrant cafes and shopping. 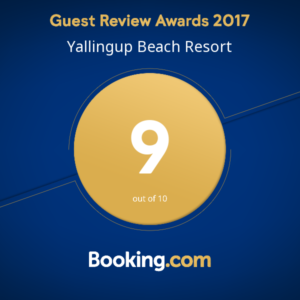 Central to both Busselton and Margaret River, Yallingup Beach Resort has it all. Enjoy a break right on the beach in one of 5 spacious and stylish luxury apartments that have 3 levels and comfortably sleep 8 with room enough for everyone to spread out. Two spacious living areas are perfect for singles, couples or travelling families with their own space to relax after a day at the beach. Large modern kitchen equipped with everything you need as well as a private outdoor courtyard with bbq for summer entertaining. Large dining area, modern bathrooms and a bath to laze in as well as an upstairs balcony to take in the views. Reverse cycle air conditioning keeps the perfect temperature inside making it great for both summer and winter stays. All your linen is supplied so the only thing you need to worry about packing is your beach towel! Interested in luxury beach accommodation in Yallingup? 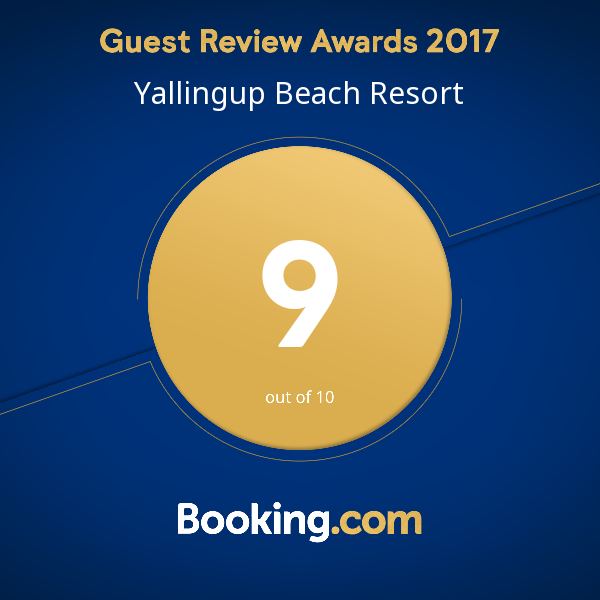 Book now and receive our best price guarantee, or contact Yallingup Beach Resort for more information. Best of all we don’t charge any booking fees!